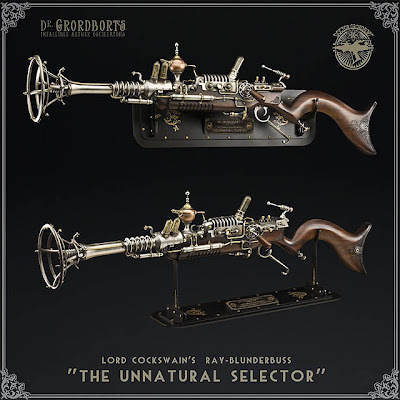 'The Unnatural Selector' by Dr. Grordbort, more info and photos here. 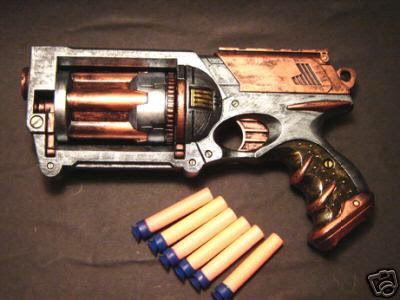 Nerf Gun, found via Geekologie. 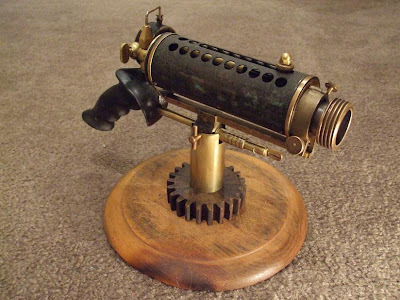 Ray Gun made by Cliff Overton, more info on his blog. 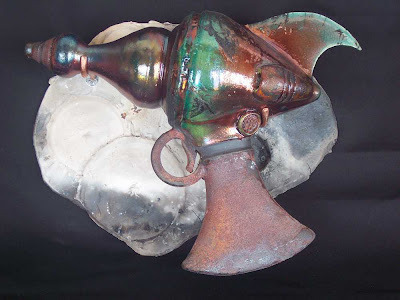 Ceramic Raku Ray Gun, very original idea. More info in here. All very pretty, but all lacking the one thing the Victorian engineers always got right on weapons: ergonomics. If you ask someone to pay the modern equivalent of several tens of thousands of dollars for a gun, and stick the trigger so close to the grip he can't pull it and hold the gun, then your customer ain't going to be a happy bunny. He certainly won't pay you, and he might even demonstrate what a real gun looks like and how easy it is to use, on you. And given that you'll only have useless rubbish, you will have the utmost difficulty firing back. 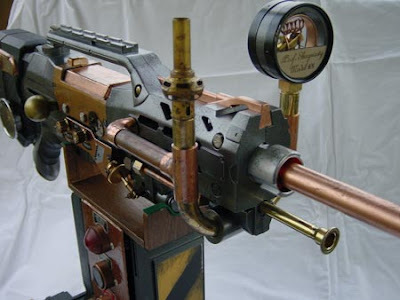 All look like a children toys weapon, but they design are so cool,looks like a weapons used hundreds years ago in a war, but still be a weapon with a elegant touch specially the wood finish in someone, my favorite is the unnatural selector this really look like a ray gun. Oh good Lord... I thought it was an unreal sketch, but then I saw it is a real gun... it looks pretty, but still I think weapons should be considered illegal. Weapons shouldn't be allowed in any case. These ones look ok for video games though.